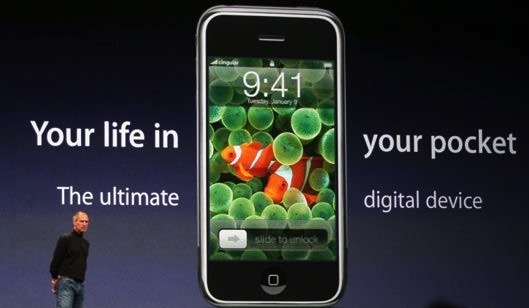 On the 10th anniversary of the iPhone's unveiling, Apple marketing chief Phil Schiller reminisced on the past decade, talking about what the iPhone means to the company, how it has changed Apple over time, and the marks the device has made on the entire world. Interviewer Steven Levy with Backchannel sat down with Schiller to discuss the iPhone and the impact of the device, a decade later. Both men were present for the reveal of the device —Schiller obviously as part of Apple, and Levy to report on the reveal. Schiller noted that while an internal debate about opening up the iPhone like the Mac's software, it started as a closed system because of Apple CEO Steve Jobs' mandate that it be so, for practicality. "We don't have to keep debating this because we can't have [an open system] right now," Jobs said to Schiller. "Maybe we'll change our mind afterwards, or maybe we won't, but for now there isn't one so let's envision this world where we solve the problem with great built-in apps and a way for developers to make web apps." Shortly after the iPhone launch, Apple opened up the phone to developers, and launched the App Store. "When we started on iPhone, we could envision that phones would change forever and get better. We could envision that we could surf the web on them. We could envision that we could get our email. We could envision that it would replace our iPod one day," said Schiller. "But the magical thing that happened along the journey of iPhone is that it also became our most important device in our life." "If it weren't for iPod, I don't know that there would ever be iPhone." Schiller said. "It introduced Apple to customers that were not typical Apple customers, so iPod went from being an accessory to Mac to becoming its own cultural momentum." The iPhone was nearly immediately successful, contrary to nay-sayers in the mainstream media and tech press. "Apple changed. Our marketing changed. We had silhouette ads with dancers and an iconic product with white headphones." Schiller added. "We asked, 'Well, if Apple can do this one thing different than all of its previous products, what else can Apple do?'" Schiller acknowledged that Apple has detractors who claim that the iPhone's impact is far less than claimed, and that the company isn't taking risks like it used to. "I think our expectations are changing more, not the leaps in the products," answered Schiller. "If you look through every version —from the original iPhone to the iPhone 3G to the 4 to the 4S, you see great changes all throughout." 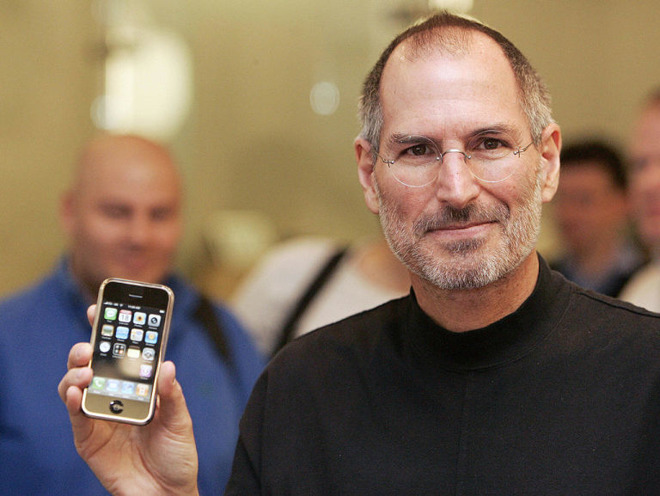 "When we started iPhone, I recall Steve saying we have a five year lead on everybody. That has turned out to be a very accurate statement," Schiller said. "The size of the cell phone market and the importance of smartphones has attracted everybody in the world who can get into the business to try to get into the business. Some have succeeded, some have failed. Competition is great. It pushes us." Schiller stands behind everything Apple has done, and believes that the iPhone is not just a key part of Apple's past, but Apple's future as well. "Everyone has their opinions at this point, but it could be that we're only in the first minutes of the first quarter of the game," said Schiller. "I believe this product is so great that it has many years of innovation ahead." Acknowledging that voice recognition and digital assistants are blossoming in Siri and Amazon's Alexa, Schiller still believes that a device like the iPhone is superior to a desk-bound device. "People are forgetting the value and importance of the display," Schiller said. "Some of the greatest innovations on iPhone over the last ten years have been in display. Displays are not going to go away. We still like to take pictures and we need to look at them, and a disembodied voice is not going to show me what the picture is." "We're not about the cheapest," emphasized Schiller. "We're not about the most, we're about the best." 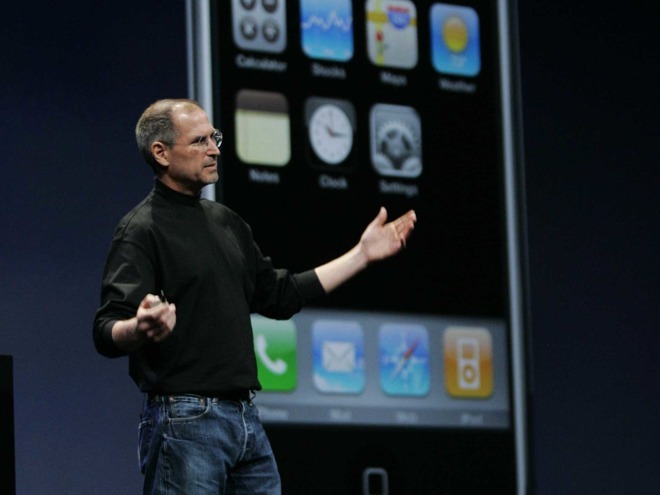 Ten years ago Monday, Steve Jobs unveiled the original iPhone during the keynote address at Macworld 2007. Originally slated to have a plastic display cover, the final product had a first-of-its-kind glass multi-touch display, with a 320x480-pixel resolution at 163 pixels per inch, up to 16 gigabytes of flash memory, 802.11g Wi-Fi, a 2-megapixel camera, support for the EDGE 2G wireless network, and Bluetooth 2.0.